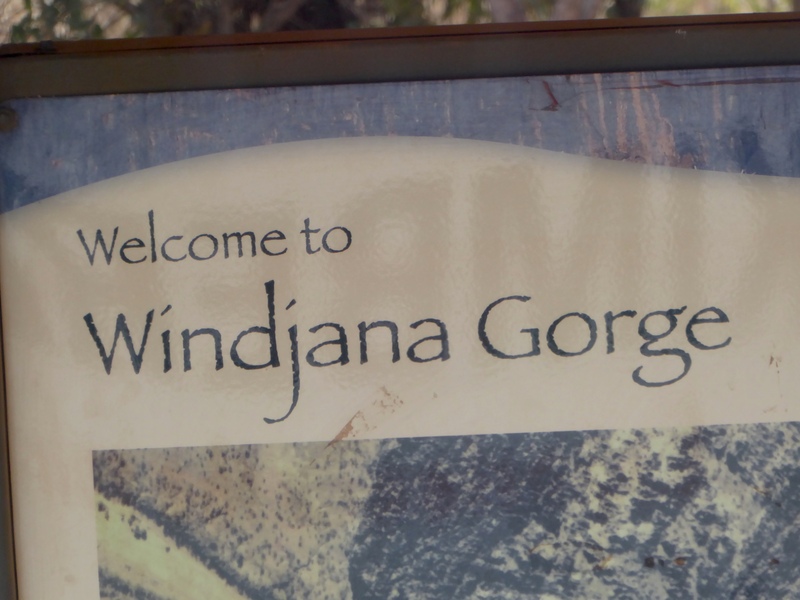 We are in Windjana Gorge National Park now. This is our third national park in the Devonian Reef of Western Australia. Remember that this area, The Kimberley, was once a tropical sea and is now surrounded by the 350 million year old Devonian Reef. Like Tunnel Creek National Park, we are in the Napier Ranges. 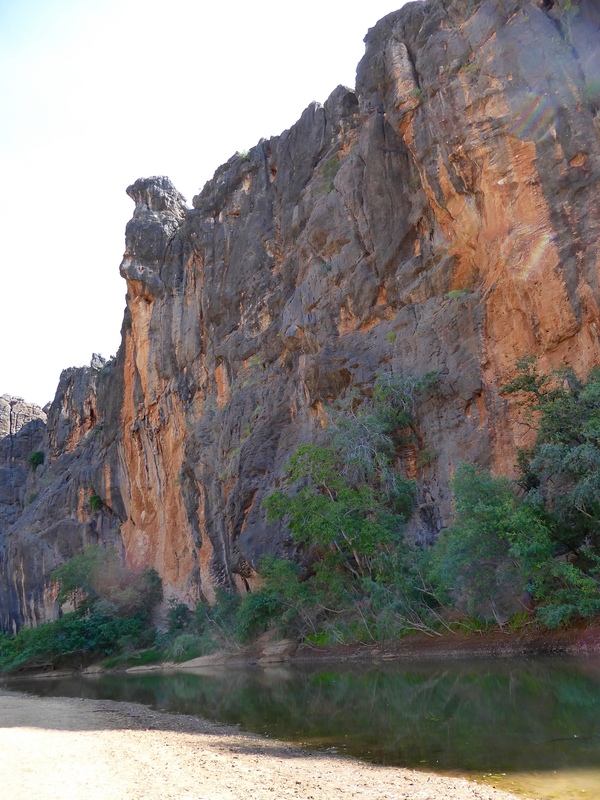 The Windjana Gorge spans 3.5 kilometers and reaches a hight of 100 meters in places. 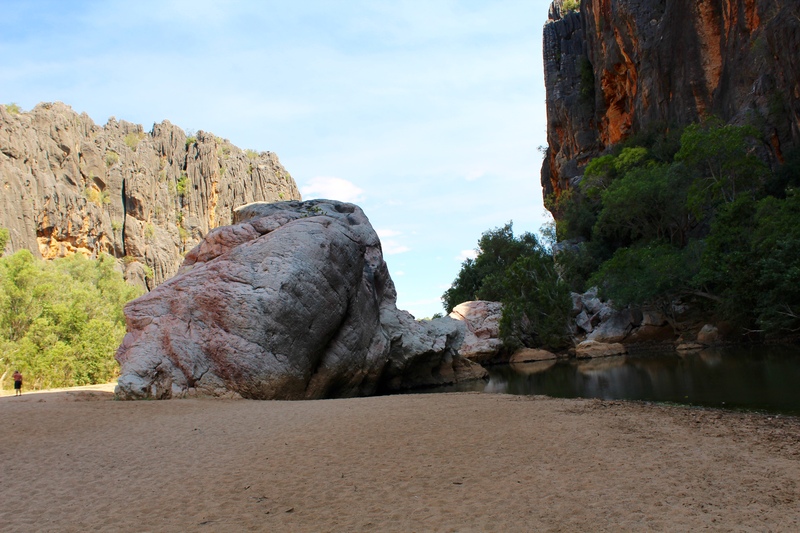 The Lennard River flows through Windjana Gorge. 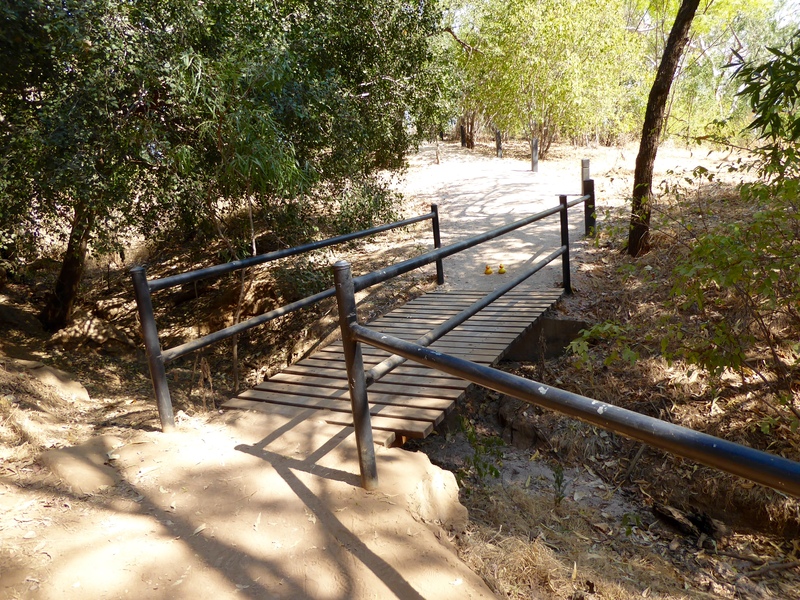 From the parking lot, we cross this bridge to get to the Lennard River and Windjana Gorge. 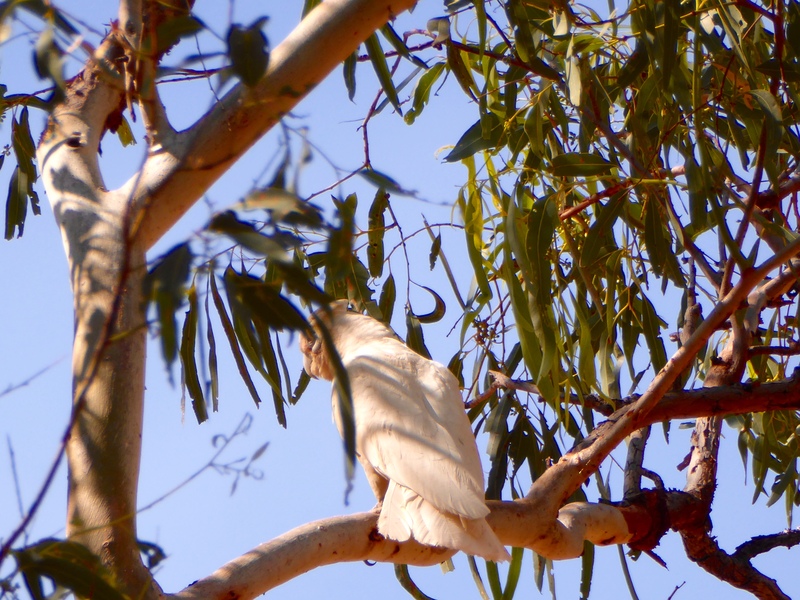 When we reach the Lennard River, we realize we have lots of company here. 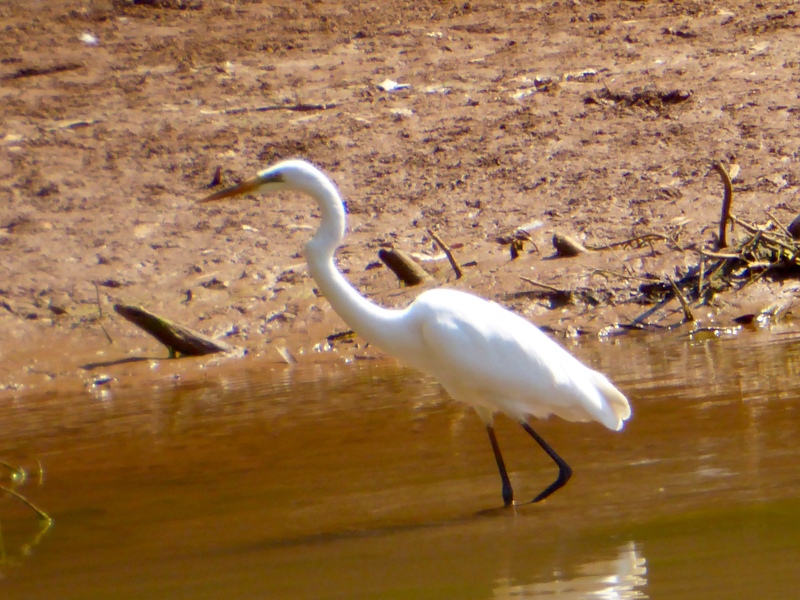 Also this beautiful white bird with long legs. 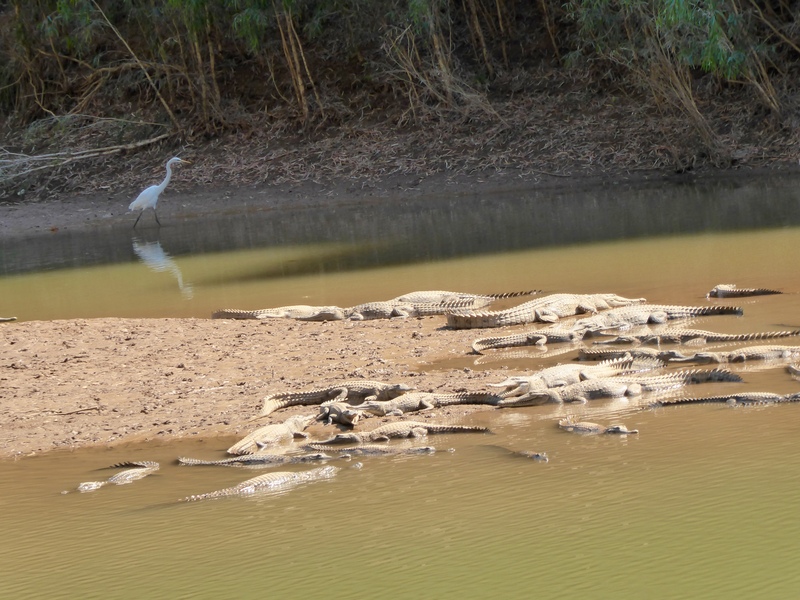 He is not concerned with all the crocodiles. This rock and area is important to the aboriginal people. 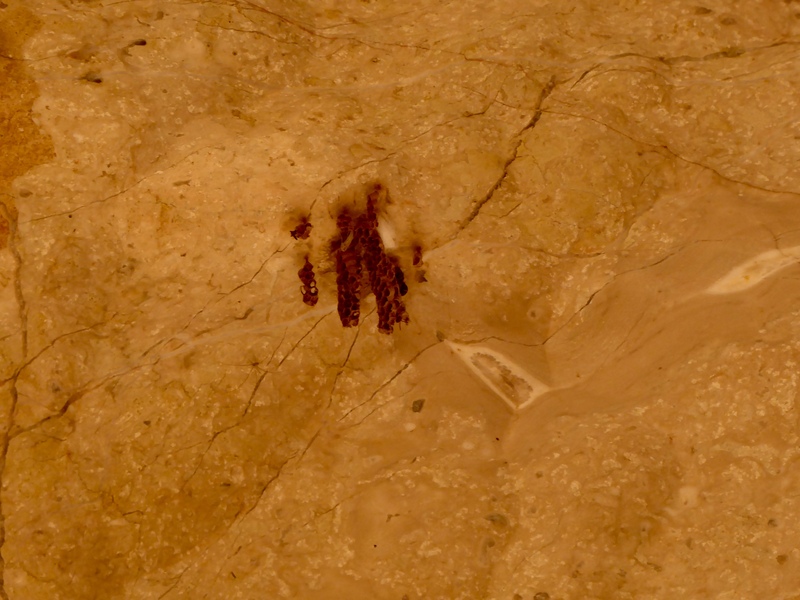 There is a legend about fertility. So, many couples come here. Our humans are not concerned about fertility, but we liked the yellow colors in the cliffs to the left and the orange/red colors in the cliffs to the right. The humans decided we should see the crocodiles up close. You will notice that Zeb and Eider are closer, not humans. So many teeth. Mom, did you really have us close to HIM??? Does he have eyelashes? He does have a big mouth and many sharp teeth! 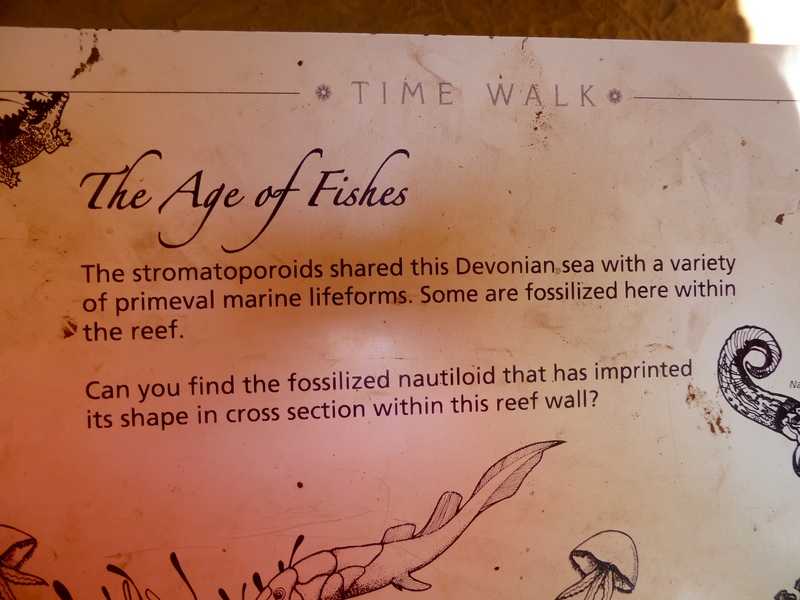 Leaving the Lennard River, we saw this sign about fossils. This area was underground. 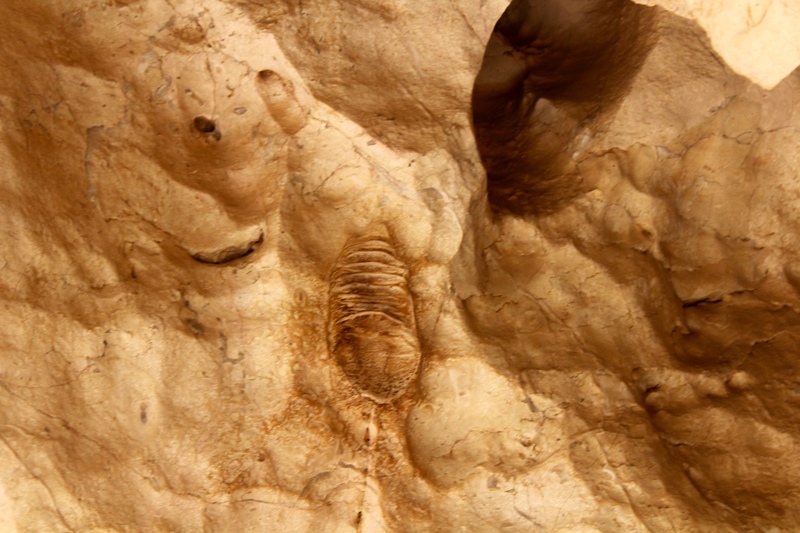 Here are photos of the fossil area. We saw one of our favorite white birds. Isn’t he just beautiful? 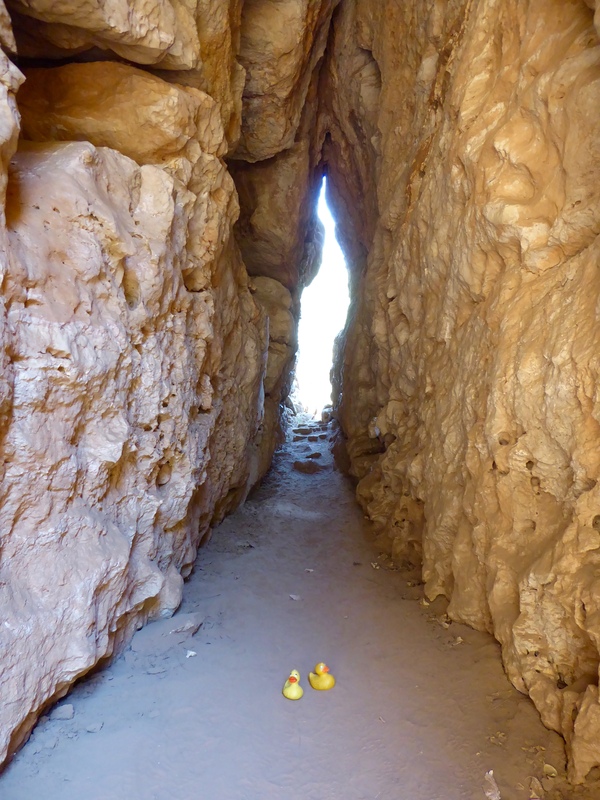 This rock formation is just perfect for us, the Colorado Traveling Ducks. Rock formation. We like this one. When we think about The Kimberley of Western Australia, this is one sight we will not forget. We loved all the animals. We are in awe of the many colored cliffs. We love the rivers and our boat rides. 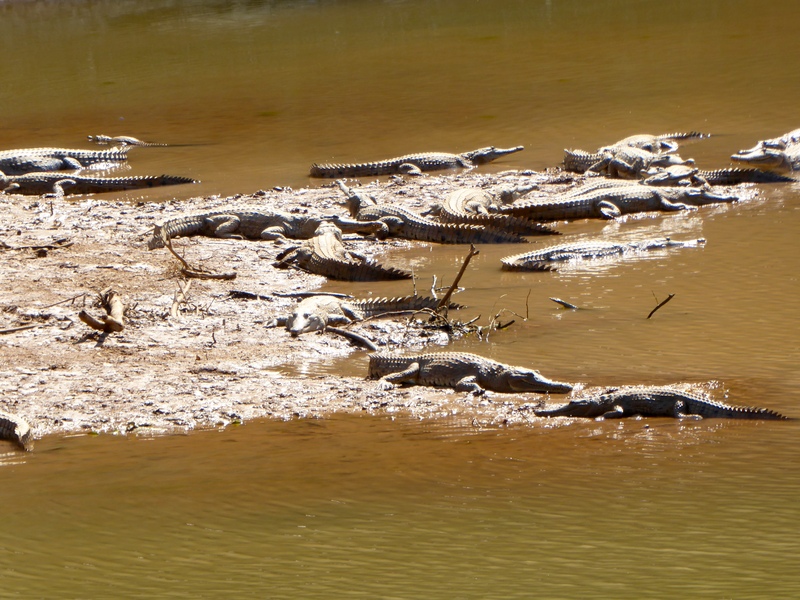 But, we will never forget all the crocodiles. Impressive, but not at all aggressive towards. We respect them and hope you will also. 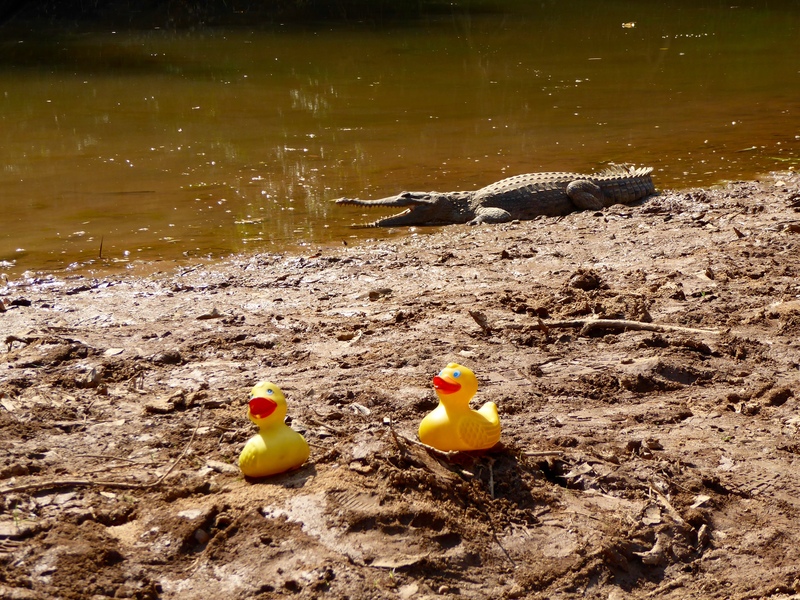 This entry was posted in Australia, Uncategorized, Western Australia and tagged Colorado Traveling Ducks, fresh water crocodiles, Lennard River, Napier Ranges, The Kimberley, Western Australia, Windjana Gorge National Park. Bookmark the permalink. That was really up close. 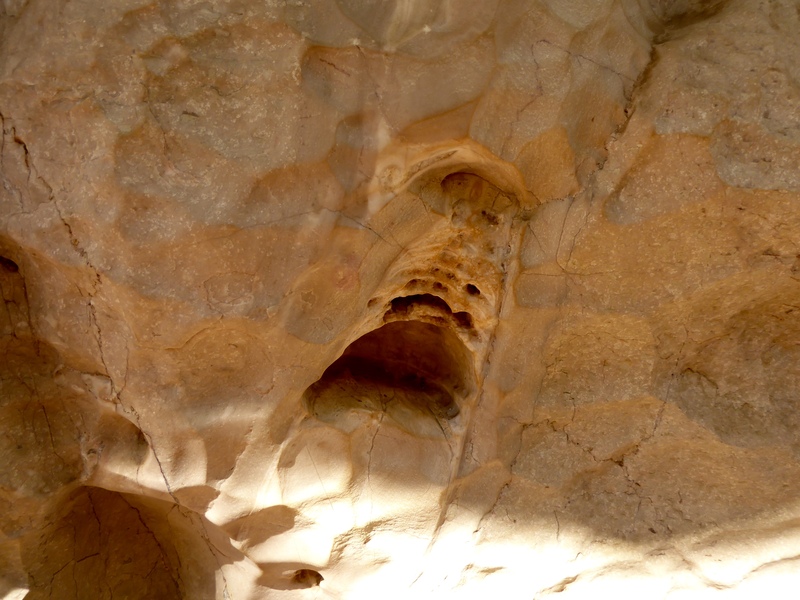 Nice pic of the limestone cliff! Was a beautiful place. 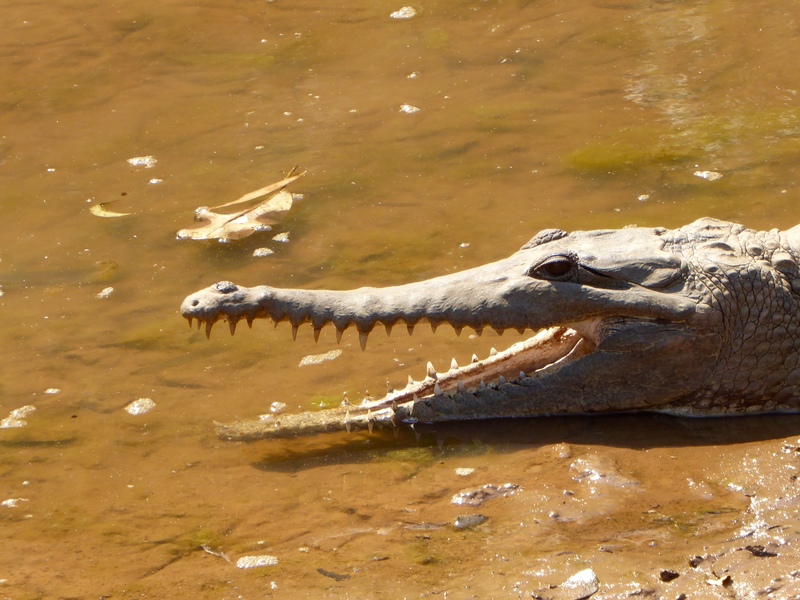 Crocodiles were main focus. Lots of teeth. Thanks for reading and commenting.